Friday September 4th, 2015 at 5pm. 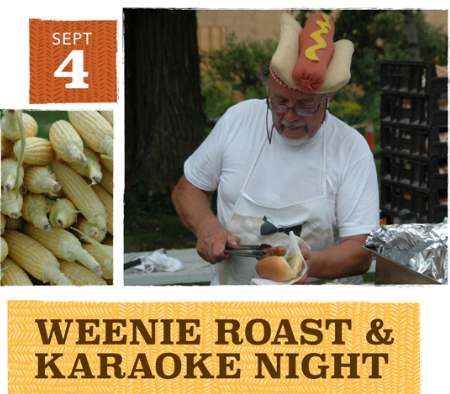 All you can eat hot dogs, corn on the cob and singing to Karaoke music. Tickets $10, Kids 6-12 $5 under 6 free. Cash only at the door. Contact the Office for minimum billing or credit card.